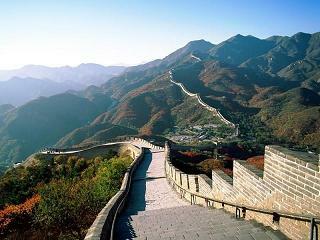 Beijing, the capital of China, is located in the northern part of the North China Plain. It is situated at 39"26" north latitude and 115"25"-117"30" east longitude, with an area of 16,807 square kilometers, of which 2,738 square kilometers for the city center. In terms of outlying geographical features, the extensive Yanshan Mountain range forms a silvan screen to the northeast, the long, winding Taihang Mountain range to the west. Just beyond, to the northwest, the vast Mongolian plateau begins. 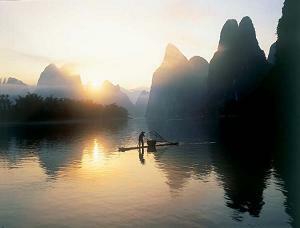 The Bohai Gulf lies 113 kilometers to the east and to the south, the vast North China Plain. 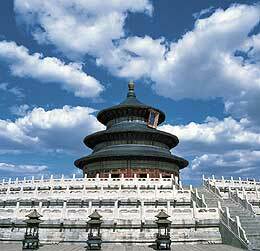 Beijing has a continental monsoon climate commonly found in the temperate zone. In winter, cold, dry winds blow out of Siberia and Mongolia in the northwest; in summer, warm, moist air currents from the southeast take over. It has an annual average temperature of 11.5oC. The coldest month in Beijing is January, with an average temperature of -9 to -4oC; the hottest month is July, with an average of 25oC. The average annual rainfall is 609 millimeters. Beijing is divided into 14 districts and 4 counties, with a population of 13.82 million, mainly with Han, Hui, Manchu and Mongolian ethnic groups. The rose, a Chinese native, has been crossã€€bred many times, but it still has half of the original Chinese traits. Known as Perpetual Spring, Monthly Red, Snow Challenger and Victorious, it grows quickly, regenerates easily and is graceful and long blooming (May to October). The chrysanthemum has many names and varieties. In Beijing potted chrysanthemums may be seen year round. They flower in summer and fall naturally but can be forced to bloom any time of year. Dishes with special flavor such as the Peking roast duck, imperial court food, imperial official food and medicinal food, hot pot; traditional snacks such as sausage, quick-fried tripe, soya-bean milk, jellied bean curd, seasoned flour mush, jimmy meat and fried pasty, etc. 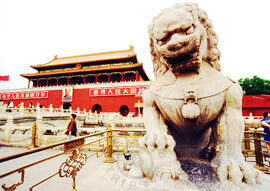 Beijing is the one of the birthplaces of Chinese Civilization and one of the six ancient capital cities in China. 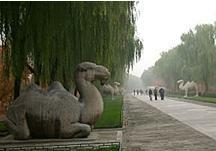 During the last 3,000 years it served as a capital for several dynasties. Since the discovery of a complete skull of Peking man living approximately 200,000 to 500,000 years ago in Zhoukoudian, situated 50 kilometers to the southwest of Beijing proper, Zhoukoudian became world-famous as the home of the Chinese ape-man. 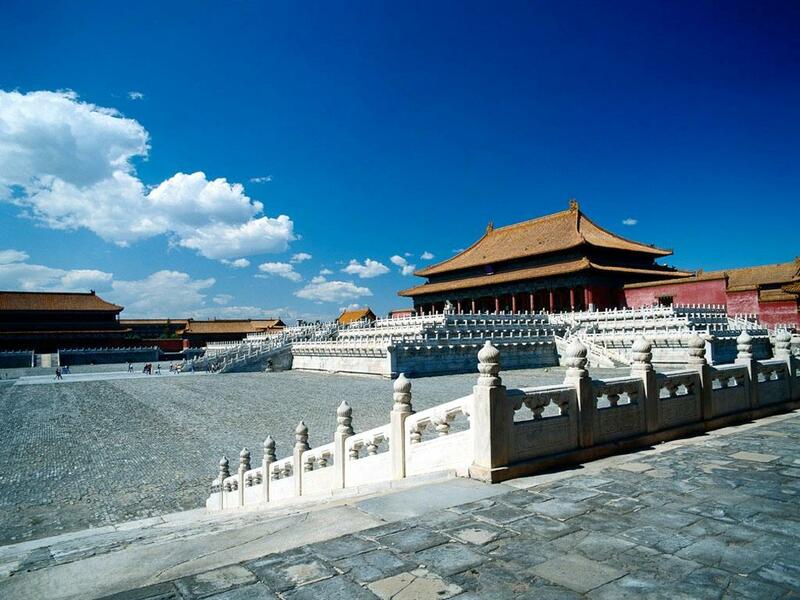 Beijing, a municipality directly under the Central Government, is the capital of the People's Republic of China and the country's political, economic, cultural and transportation center as well as a famous historic city. 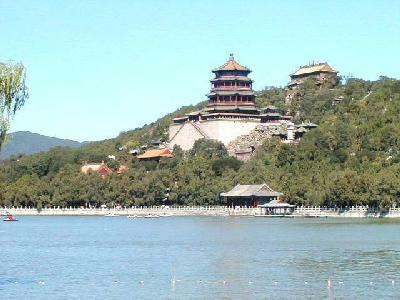 Beijing is the second largest city in China. Being one of the biggest industrial bases in China, Beijing's industrial production is the second largest in value among all Chinese cities. An industrial system with iron and steel, coal, machinery, chemical and petroleum, textiles, electronics and other industries as its mainstays has already taken shape. 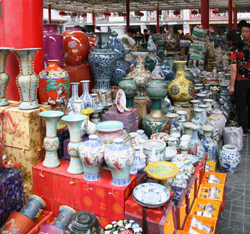 Beijing's arts and crafts are famous for their long history, great variety, and superb workmanship. The most popular ones among them are cloisonne, ivory carving, jade ware, carved lacquer ware, snuff bottles, silk flowers and Beijing's embroidery etc. 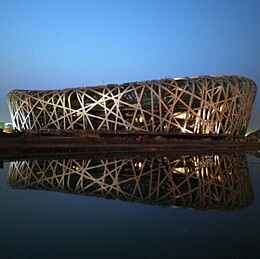 As the country's center of culture, education, science and technology, Beijing has more than forty state scientific research institutions, over thirty universities and various exhibition halls, museums, cinemas and palestras. The National Library of China is the largest library in Asia. It is a hub of communications, with good railroad and air links with all parts of China, as well as with major international cities, thus facilitating the rapid development of tourism as an important industry in Beijing. 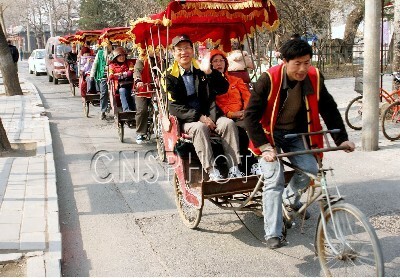 Beijing is an ancient city with a long cultural history. 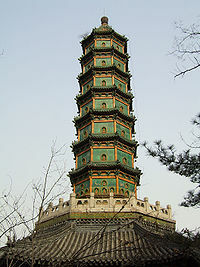 The four feudal dynasties -- Jin, Yuan, Ming, and Qing had all set up their capital here. 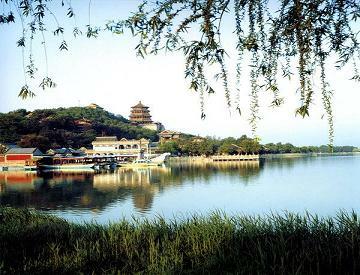 That's why it became a most concentrated place of the country's scenic spots and historical sites, with 23 State-protected Sites of Cultural Relics. 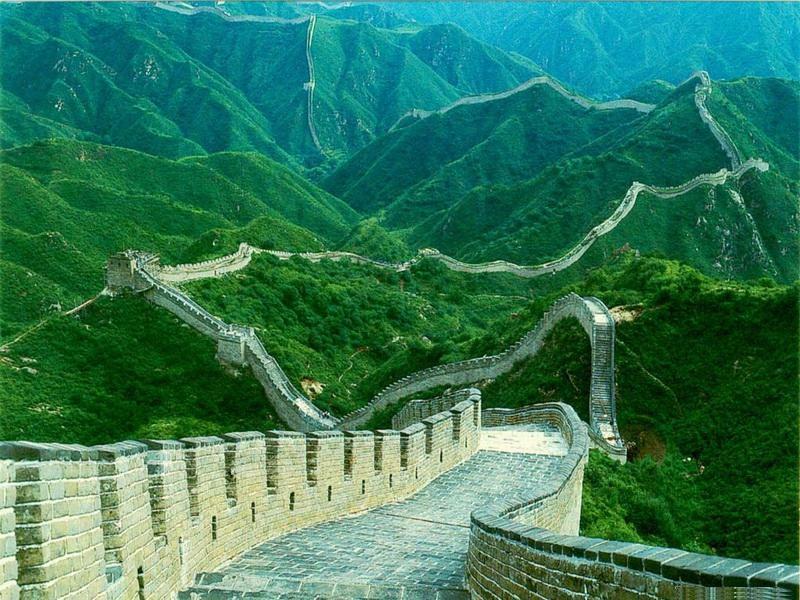 Among them, the best known are the Forbidden City, the Summer Palace, the Great Wall, the Temple of Heaven, Zhoukoudian Site, and the Ming Tombs, etc. 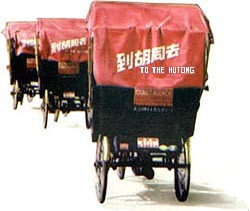 Beijing's Hutong (narrow bystreets) and Siheyuan (quadrangle) are quite worth a visit.